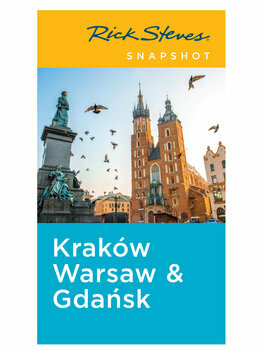 Rick Steves Snapshot: Kraków, Warsaw & Gdańsk contains all the complete chapters on Poland, excerpted from Rick's full-length Eastern Europe guidebook — and leaves out the chapters on other Eastern European destinations. So if all you want is the best of Poland, this compact Snapshot guide delivers everything you'll need to know — for about half the price and half the bulk. Should I get this Snapshot guide in addition to Rick's full-length Eastern Europe guidebook? Nope! Our Snapshot guides are simply excerpted chapters from our full-length guidebooks. Snapshot: Kraków, Warsaw & Gdańsk covers the exact same topics as the Poland chapters of Rick Steves Eastern Europe — the same hotels, same restaurants, same sightseeing information, same everything. Latest updates: When we learn of critical changes to the information in our guidebooks on Poland, we post them. (Of course, it's still smart to reconfirm critical transportation and sightseeing details locally.) Armed with a Rick Steves guidebook and these late-breaking updates, you're set for a great trip!